I found this recipe in Everyday Food while I was still in college and struggling to learn how to cook. 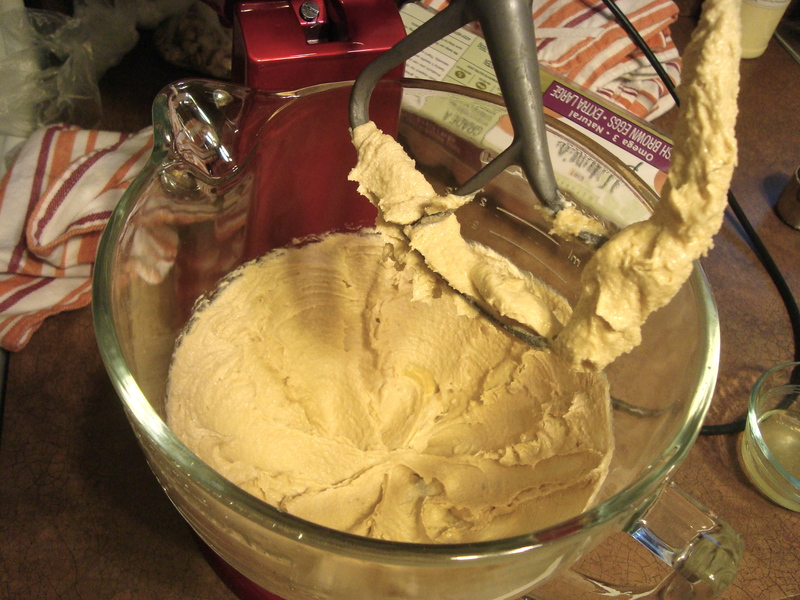 Baking always came easier, it’s measure and stir, but I know not everyone agrees. This recipe is very easy and the only way I tweak it from its original form is that I add more butter. I know that sounds crazy!! But the truth is, if you don’t, you have Raspberry Dust Bars, not Raspberry Crumb Bars. I don’t know about you, but I like crumbs more than dust. Oh, and I also changed the name. They are really named Almond Fruit Bars but that’s WRONG. 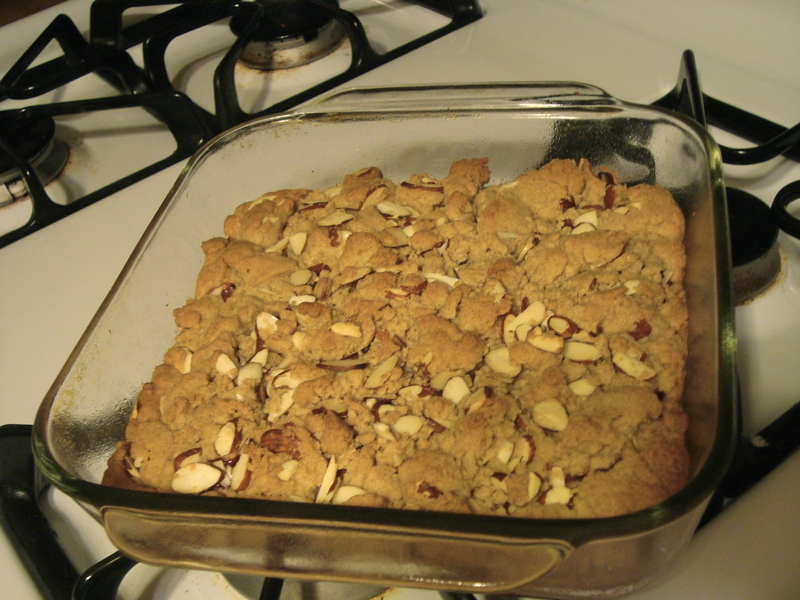 So I renamed them Raspberry Crumb Bars. So there. 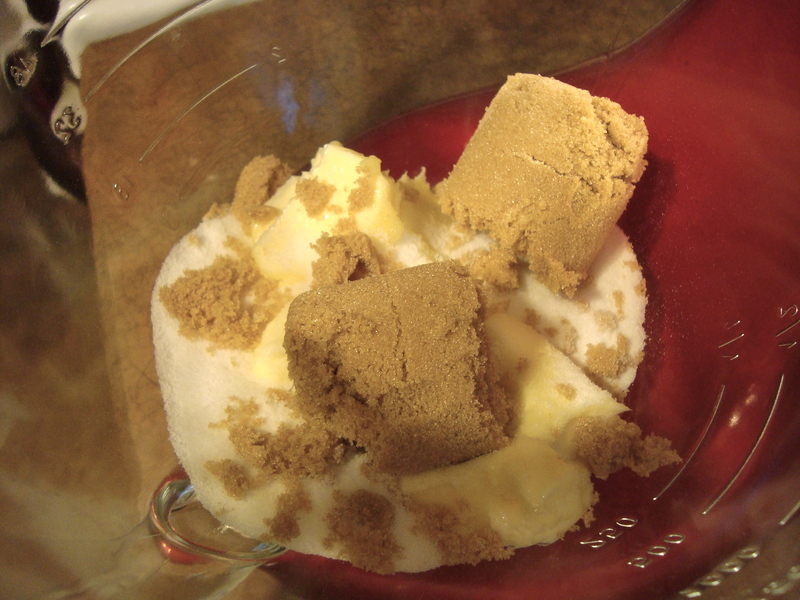 Combine the butter, sugar and brown sugar in a bowl and mix until light and fluffy. 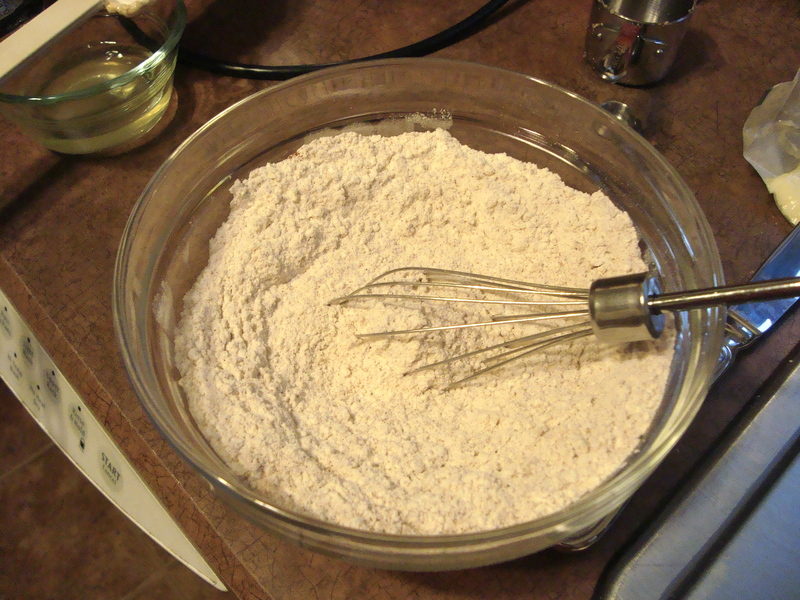 In a separate bowl, whisk together flour, baking powder, salt, and cinnamon. 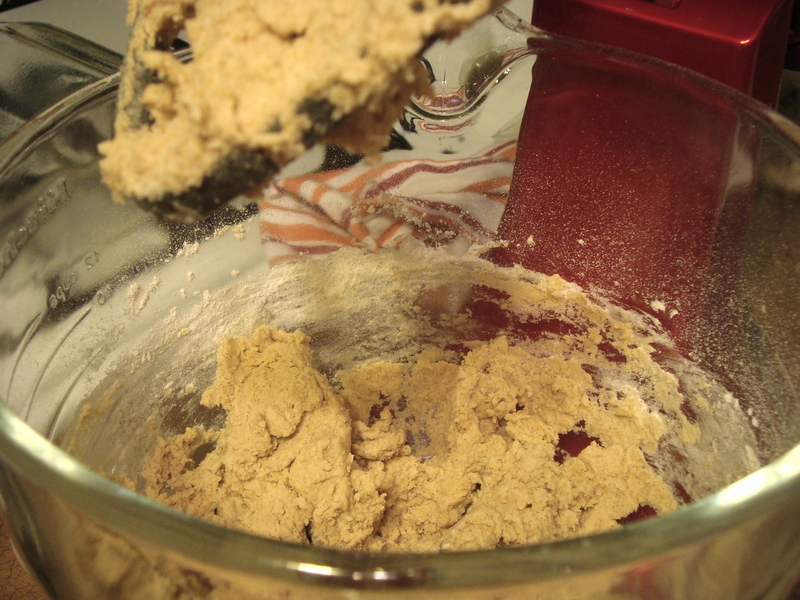 Gradually add the flour mixture to the dough while mixing at medium speed. Stir until crumbs form. 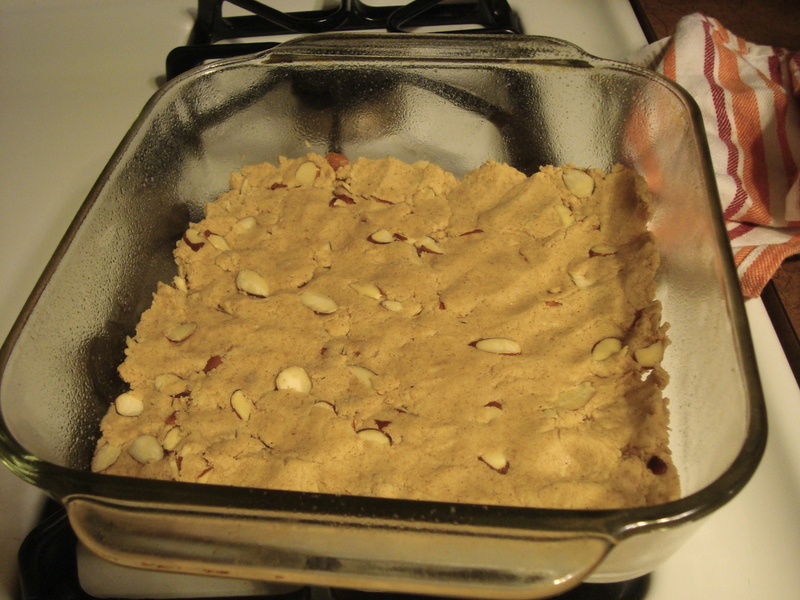 Stir in the almonds by hand and divide the dough in half. Press half into the bottom of a greased 8×8 pan. In a small bowl, whisk the raspberry jam so it becomes easy to spread. 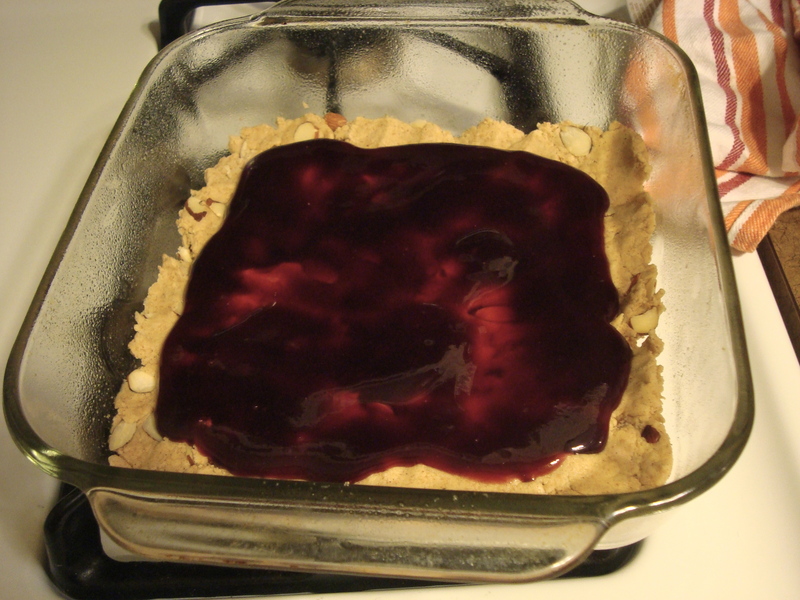 Pour it over the crumb bottom, leaving a border so it doesn’t leak out while baking. Sprinkle the remaining crumbs on top and bake at 350 for 20-25 minutes or until it’s a light golden color. 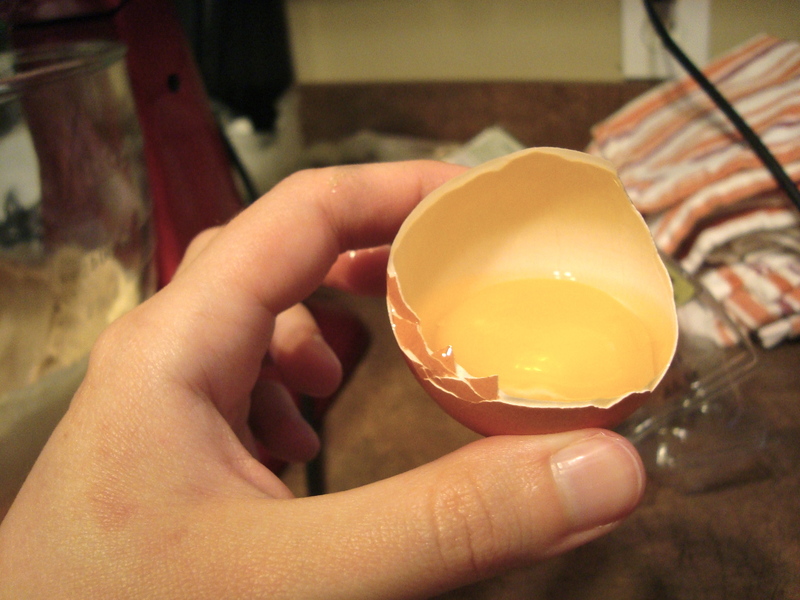 Let it cook completely and use a serrated knife to cut it into bars. Enjoy!